One of New Jersey's seemingly innumerable quiet seaside towns, Toms River became the unlikely setting for a decades-long drama that culminated in 2001 with one of the largest legal settlements in the annals of toxic dumping. A town that would rather have been known for its Little League World Series champions ended up making history for an entirely different reason: a notorious cluster of childhood cancers scientifically linked to local air and water pollution. 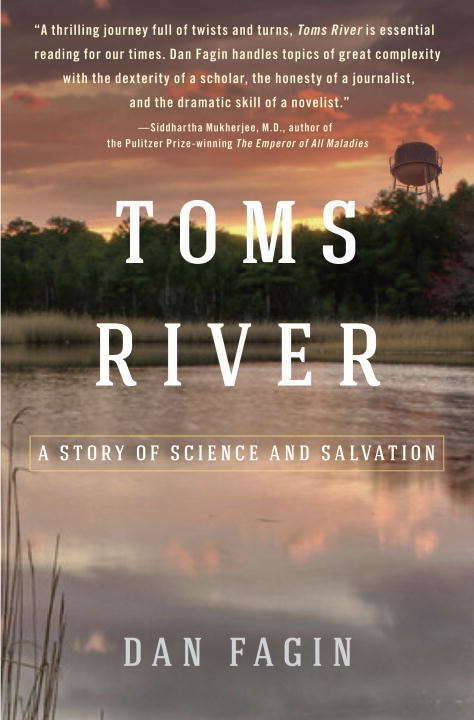 For years, large chemical companies had been using Toms River as their private dumping ground, burying tens of thousands of leaky drums in open pits and discharging billions of gallons of acid-laced wastewater into the town's namesake river. In an astonishing feat of investigative reporting, prize-winning journalist Dan Fagin recounts the sixty-year saga of rampant pollution and inadequate oversight that made Toms River a cautionary example for fast-growing industrial towns from South Jersey to South China. He tells the stories of the pioneering scientists and physicians who first identified pollutants as a cause of cancer, and brings to life the everyday heroes in Toms River who struggled for justice: a young boy whose cherubic smile belied the fast-growing tumors that had decimated his body from birth; a nurse who fought to bring the alarming incidence of childhood cancers to the attention of authorities who didn't want to listen; and a mother whose love for her stricken child transformed her into a tenacious advocate for change.